As anyone who does not smoke will tell you, the act of smoking is a despicable thing which makes you smell awful, removes funds from your bank account at a frightening rate, and makes you incredibly prone to cancer and other smoking-related diseases. However, as a smoker I have a completely different standpoint. I would like to say that this standpoint is not the result of a bias, but that would be a complete and utter lie. I do think, however, that there are a few points that need to be cleared up. You see, the thing you non-smokers don’t seem to understand is that smoking is good. Really good. It feels wonderful on so many levels, and as a result, people want to do it as often as they can. But that’s not the way it should be. Once apon a time, this wouldn’t have been a problem. The two main ways of enjoying tobacco were cigars and pipes. Yes, there was chewing tobacco as well, but that’s too nasty to get a mention. Cigars are costly, and should only really be enjoyed once a day. Pipes, while slightly less pricey, are still fairly strong, and aren’t the sort of thing that you can go puffing away at every half hour, lest you wind up coughing up a lung every few minutes. So where does that leave us? With the desperate masses needing to smoke as much as possible, and not being able to due to the fact that the available methods of smoking are either too strong, or too costly. Enter the cigarette. This slim cigarillo with white paper wrapping is not only easy and cheap to produce, but quite easy to smoke in large quantities. Where one could normally only consume one or two cigars or pipe bowls a day, one could now enjoy around twenty times the enjoyment at a reasonable price. These little white sticks of smoking bliss have also been the bane of the non-smoker’s life for quite some time now. Up until recently, the non-smokers of the world haven’t been able to enjoy a night out without a cloud of noxious smoke to rain on their parade. It seems to me that the cigarette is the main wedge which has driven apart the smoking and non-smoking communities, purely because of its commonness. Why? Because they’re everywhere. They seem to have been designed as the smoking apparatus for people who don’t know when to say no. Those who can’t help themselves but to cave to a very serious addiction. But this really changed the face of smoking in both the eyes of the smokers and the non-smokers. Where once there were a few people smoking their cigars or pipes in a quiet corner of a sophisticated gentlemen’s club, there were now cigarette smokers puffing away in every nook and cranny of every bar club and pub. While the smokers saw this as a godsend, the non-smokers saw it as quite the opposite, and understandably so. Where once they only had the occasional cloud of rich, full smoke, they now had the cheap exhalations of a multitude of nicotine slaves, bent on filling their daily quota and feeding their horrible addiction. As a result, we’ve now entered what I’d like to term the “air wars”. An age where smokers and non-smokers battle it out for airspace in their favorite restaurants, bars and even street corners. This war has led to smokers and non-smokers becoming more and more distanced from one another – viewing each other as lepers and fascists respectively. So what could be a peaceful outcome of this situation? Well, there are two. Either the non-smokers will win, and force their beliefs on the smokers of the world (i.e. all the smokers of the world will magically quit smoking and turn in to obnoxious, self-righteous slugs like the rest of society), or the smokers will make a compromise. At this rate, I don’t see the either of those two things happening without some kind of modification of the rules… I see a major sticking point with one thing: Cigarettes. I tender to you this: If Cigarettes are banned as a method of selling tobacco, what will arise to take its place? Cigars? Pipes? To that, I say “Bring it on”. 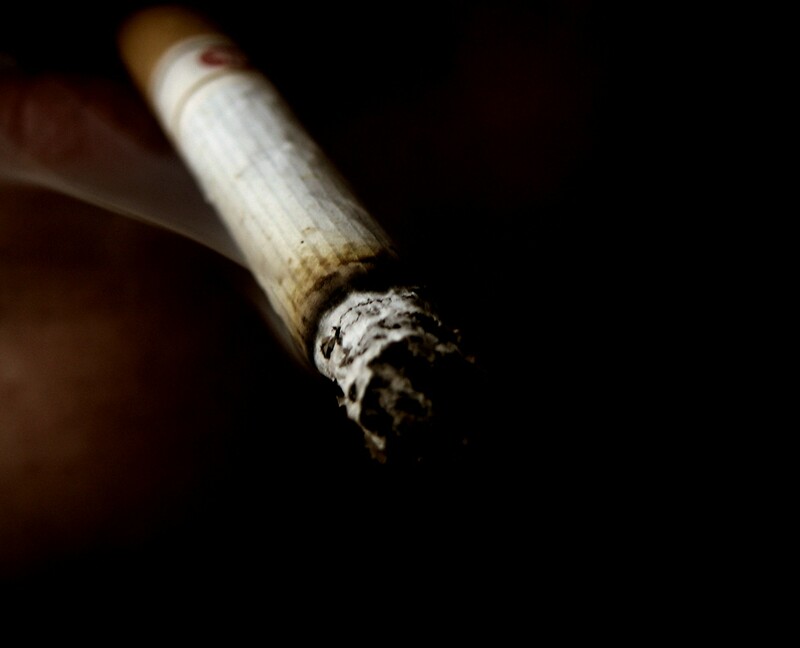 Smokers the world over need to realize that smoking is meant to be a fun an enjoyable pastime – not an addictive one. We as smokers should start seeing smoking akin to drinking. If I were to drink every hour on the hour, or else get grumpy and obnoxious, people would tell me that I had a problem and would likely have one of those horrible ‘interventions’ again. On the other hand, if I drank a good quality scotch every second night, nobody would say a word. In fact, they’d probably respect me more for my taste. It’s about time we smokers took smoking back to its roots. It’s not a drug, it’s a fine pleasure, and we should treat it as such. Throw away your cigarettes and get some good quality cigars. Smoke once a day and really enjoy it. Once we’ve all mastered that, smokers and non-smokers can live in harmony. Well, maybe. It depends on how forgiving the non-smokers are willing to be.